Genomics, Ancestry, and a Contest! In addition to DNA variants' utility in predicting EPDs, disease risk, and other traits, they are also very useful in predicting an individual's ancestry. 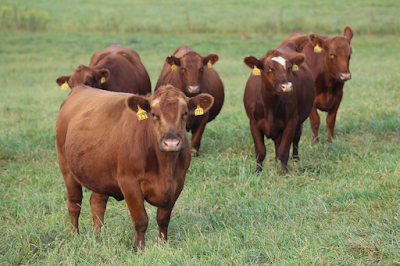 The most common use of this in livestock is parentage verification or testing. But DNA variants can also be used to look at relationships over much longer time scales. 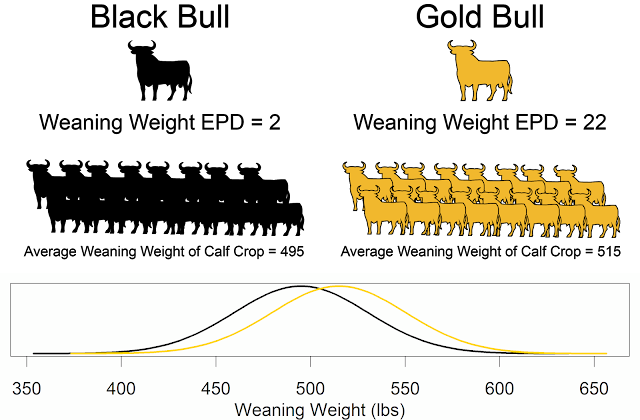 For example, my coauthors and I have used SNPs to look at relationships among ruminant species and breeds of cattle. Last week I sent 10 mL of my saliva to 23andMe to for processing and DNA testing. This is the human equivalent of genomic-enhanced EPDs (although 23andMe uses different statistical methods). In addition to finding out if I carry specific genetic disorders and my risk for common diseases, I will also find out about my ancestry. One of the interesting things we have learned from sequencing ancient genomes is that most humans from Europe or Asia have Neanderthal ancestry. So, as part of my 23andMe results I will learn what percent of Neanderthal ancestry I have. So, here is the contest. Whoever has the closest guess to my percentile rank for the amount of Neanderthal ancestry will win a $20 gift certificate to Texas Roadhouse, or another steak house of their choosing. Your guess must be a number between 0 and 100. A guess of 0 would mean I have no Neanderthal DNA and I am likely from Africa. A guess of 100 would mean I have the most Neanderthal DNA of any living human. A guess of 50 would mean that I have an average amount of Neanderthal DNA. Guesses must be made in the comment section of this blog, guesses on any other social networking site will not be accepted. Contest will run till November 5th, 2013. Ties will be broken by whoever posted their guess first. Extra points will be given for the funniest jokes! *NOTE: There were glitches with the comments section of this blog. Because of that I opened the contest up to people who also made comments on social media sites. Edited 19 November 2013. OK, my guess is 3.56 % Strong facial bone structure and preference for nearly raw meat (steaks) suggest and upwards bias compared to the population average. Dirk-Jan, express your guess as a percentile rank. For example 2.5% Neanderthal is in the 50th percentile. 3.2% is in the 99th percentile. Okay, I guess I'm the only one who thinks in percentile rank. Your guess can be in percent or percentile rank. Since being a Beef Genetics Extension Specialist with an emphasis on computational genomics is so easy a cave man can do it. I would guess you to be about 5%.